Mayans, unquestionable masters of the creation and use of colors, used pure mineral, vegetable and animal substances to obtain their pigments, something that has astonished the archeologists that have studied the beauty and warmth of their blue tone, and separated "Mayan Blue" from other pigments. The bouquet, flavor and body of Gran Tulum Tequila Blanco are the result of its natural elaboration process through which this magnificent tequila acquires its prestige. Its purity and refreshing, fruity flavor turn it into an excellent companion for any drink, whether combined with exotic fruit juices or as a quality product with which to prepare the most delicious cocktails. Jade, the green-colored precious stone, was used in the Mayan culture to create the offerings at religious ceremonies. A precious stone in which the greater divine forces, that gave meaning to life, were concentrated, since jade was identified with water, vegetation, sun and nature itself. 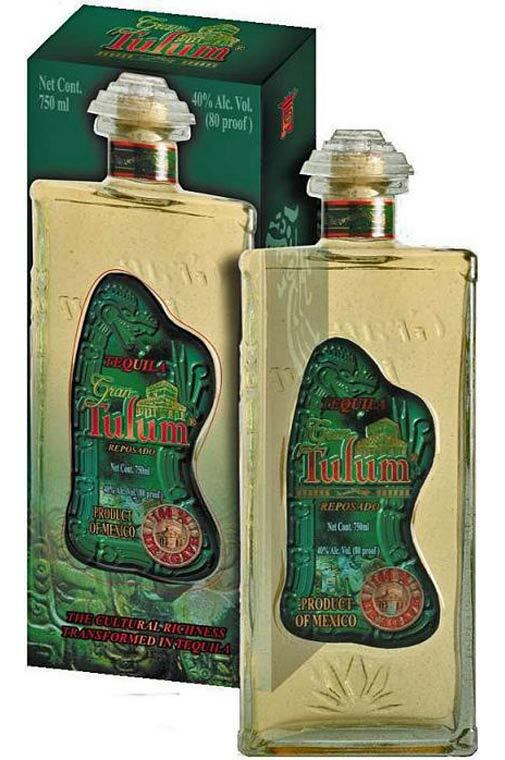 Gran Tulum Tequila Resposado has been conceived as an offering for tequila connoisseurs and as a homage to the god Kukulkan, who was artistically represented as "The Plumed Serpent." The brilliant golden color, and limpid and clear transparency of Gran Tulum Tequila Resposado indicate its origin and quality. The fusion of its body and taste denote an excellent tequila that has been imbued with the necessary attributes from its time spent in white oak casks, where it rests for at least two months. Temples were, and continue to be, the greatest symbols of Mayan culture. Live representations of greatness, power and omnipotence, "home to the gods." In their construction, the quality of materials (stone) was of vital importance. Its selection, preparation and proper usage, along with the architectural creativity and advanced engineering skills, produced as a result fascinating sculptures and monuments that even in this day and age still captivate the world's attention. 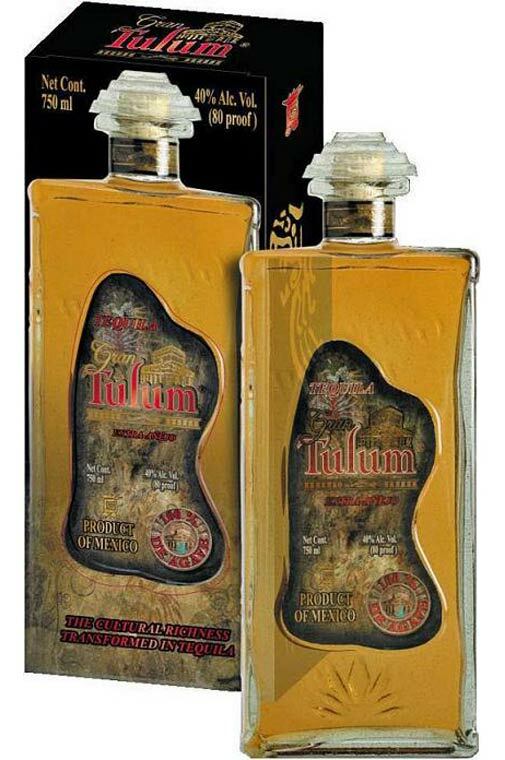 Gran Tulum Tequila Añejo is a tequila with a great body and character that can be witnessed in its intense golden color and fine wooden aroma obtained through the passage of time. It is aged for twelve months in white oak casks, which magically and slowly caress it to provide it with its unique taste, a reflection of the optimum care taken during its creation. Just as close attention was paid to detail while constructing the "Pre-Hispanic temples", in Gran Tulum Tequila Añejo we have taken great care over even the smallest details to succeed in making a product which will be the perfect choice for those who want to enjoy a fine tequila, which is a tribute and monument to quality. Mayans left to posterity the history of their culture and roots, magic and mysticism in their codices that tell the world of their existence and grandeur. 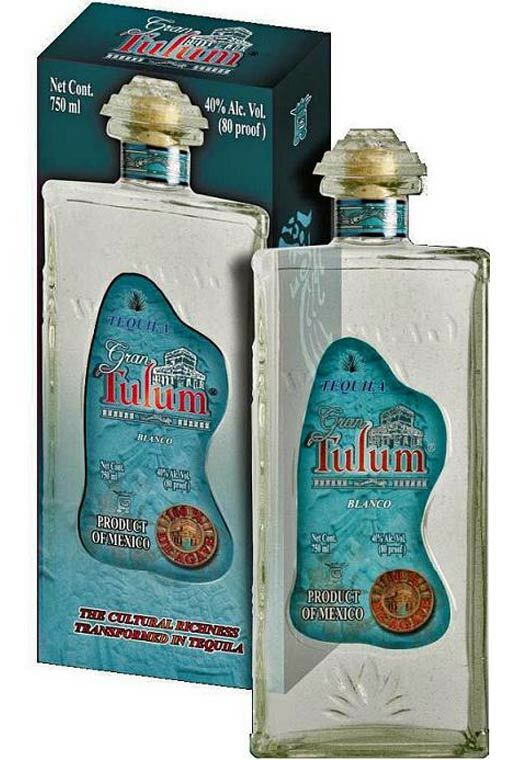 That legacy became our inspiration to create a unique product such as Gran Tulum Tequila Extra-Añejo. It is a tequila that through time and a carefully controlled period of maturation, has reached its maximum expression of quality thanks to the white oak casks which preserve and shelter it for three long years, providing it with a great body and deep wooden bouquet, as well as its antique golden color, which shows its maturity, class and style. Gran Tulum Tequila Extra-Añejo is the result of the magic and essence of the Mayan codices, masterly reflected in this magnificent tequila, so proud of its roots. Distillery: Tequila Selecto de Amatitán, S. A. De C. V.